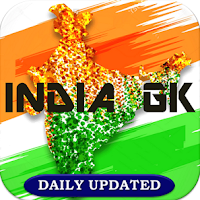 3, 4 May 2018 Current Affairs MCQs, Quiz, Questions: Current Affairs for May 2018, Daily Multiple Choice Questions (MCQs) for India GK, World GK and current affairs with Collection of daily objective type Question by www.Indiagk.net based on General Knowledge (GK) and General Science (GS) Questions for UPSC, State PSC, SSC, Police exam, Railway exam, SBI, Bank PO, IBPC, SSC, LDC, UDC, Army, Airforce, Navy, Coast Guard, Bank Clerk, TET and all entrance examination with current affairs News, Multiple Choice Questions (MCQs) available on Website www.IndiaGK.net and Android Apps with daily updates:. The joint military exercise “Harimau Shakti 2018” started between India and which country? Explanation: The first-ever joint Army exercise Harimau Shakti 2018 started between the troops of the Indian and Malaysian armies at Wardieburn Camp in Kuala Lumpur on April 30, 2018.
Who has been named as the new head coach of Australia? Explanation: Former Australian opener, Justin Langer has been named as the new head coach of Australia in all three formats of the game, replacing Darren Lehmann, who resigned after the recent ball-tampering row. The former cricketer takes over the top position at a time when Australian cricket is in midst of a crisis following the one-year ban on former captain Steve Smith and former vice captain David Warner. What is theme of 2018 International Labour Day? Explanation: The International Labour Day, also known as International Worker’s Day or May Day, observed every year on May 1 to promote and encourage the international labour associations. The day marks the victory of workers’ movement for 8 hours of work. It also aims to pay tribute to workers sacrifices in achieving economic and social rights all over the world. 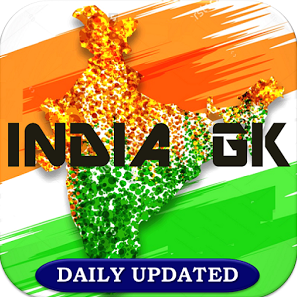 In India, Labour Day is referred to as Antarrashtriya Shramik Diwas or Kamgar Din. The first Labour day or May Day was celebrated in the year 1923 in Chennai. The 2018 theme “Uniting Workers for Social and Economic Advancement” motivate workers all over the world to unite for their rights and demand social and economic advancement from the governments and capitalists. Which airport is set to become the 100th operational airport in India?